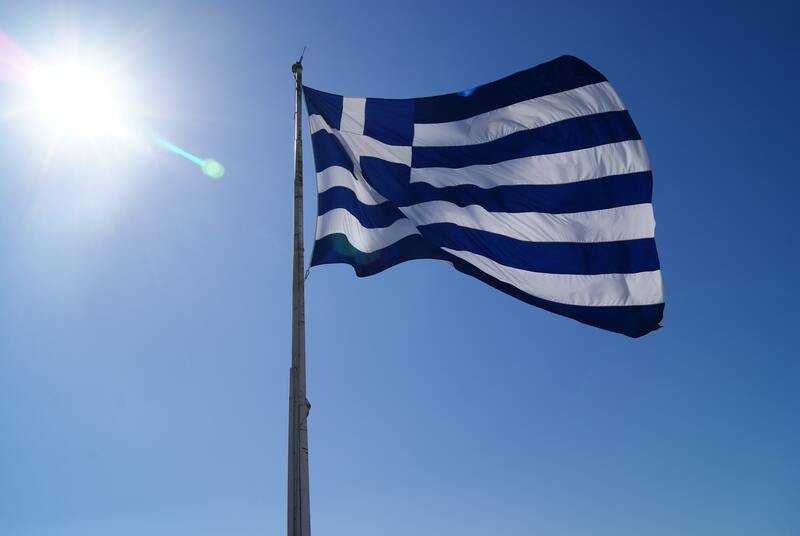 Today, you will have a half-day visit of Athens. 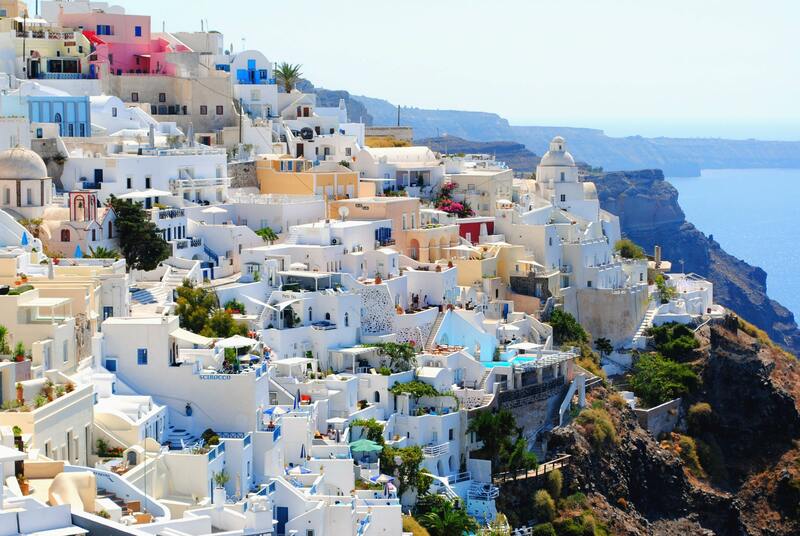 Visit of the site of Acropolis and panoramic tour of the area by bus. 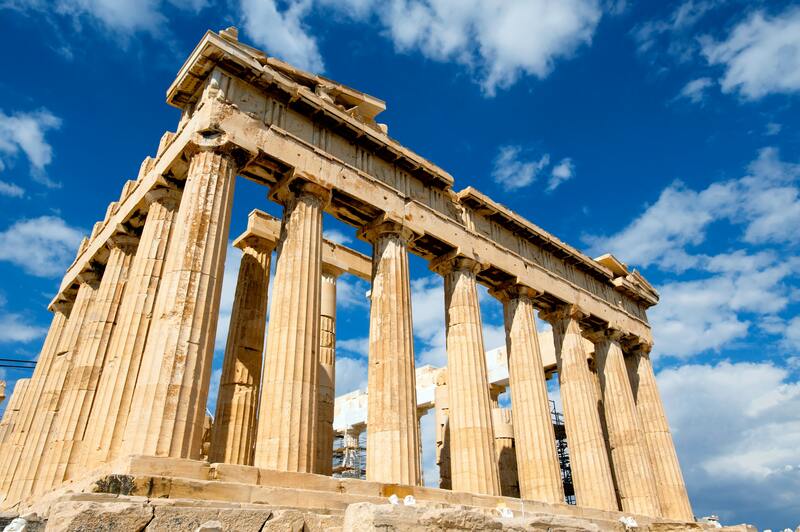 This tour gives you an opportunity to observe the striking contrasts that make Athens such a fascinating city. Our expert guides will take you to see the Panathenaic Stadium where the first Olympic Games of modern times were held in 1896 (short-stop). Continue and pass by the Prime Minister’s residence guarded by the Euzones in their colorful uniform, the Temple of Olympian Zeus, the Hadrian’s Arch, the Parliament and the memorial to the Unknown Soldier, the Academy, the University, the National Library, the Constitution Square (Syntagma). 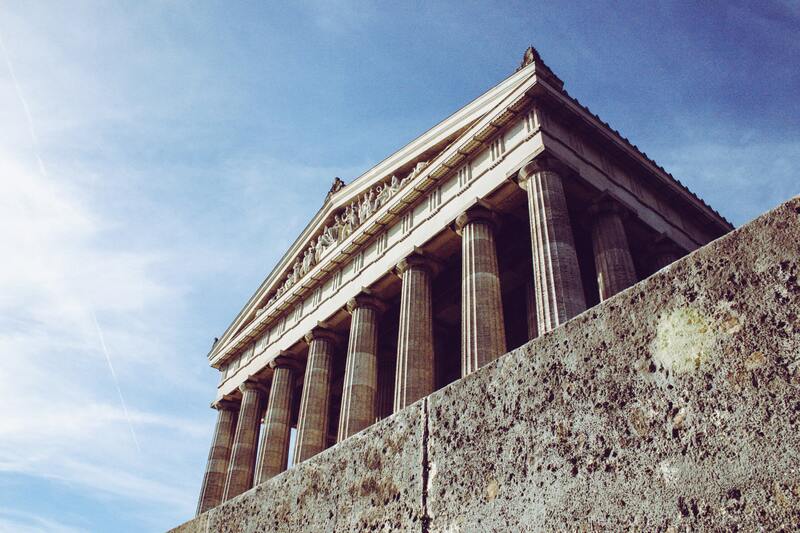 In the Acropolis, visit the Architectural Masterpieces of the Golden Age of Athens: The Propylaea, the Temple of Athena Nike, the Erechtheion and finally “the harmony between material and spirit“, the monument that “puts order in the mind“, the Parthenon. Continue and visit the place where at last the statues found their home and admire the wonders of the classical era: The new Acropolis museum. Enjoy the rest of the day.Visit others museums of Athens and you will get familiar with the history of Greek civilization. If you are fans of shopping, you’ll find in the main street of Ermou your best choice for shopping. 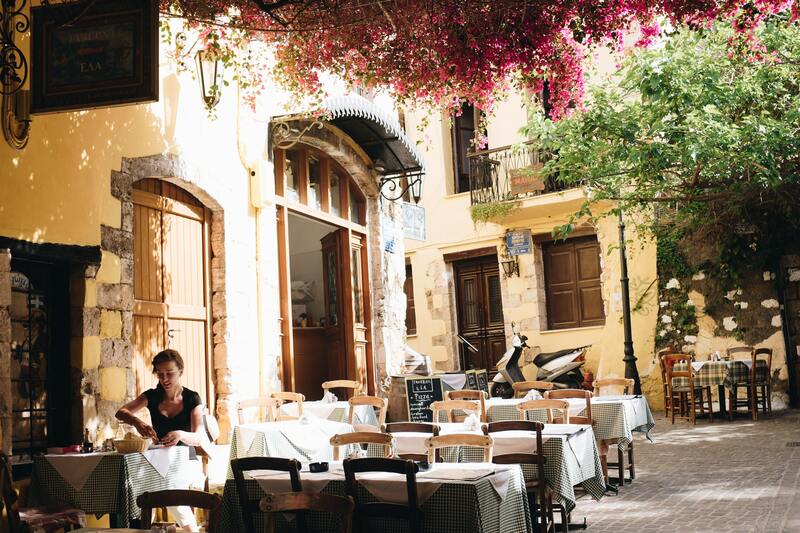 If you are a fan of local food, you will find various restaurants and small taverns with special Greek food and wine in Plaka. Don’t forget to discover the nightlife of Athens. 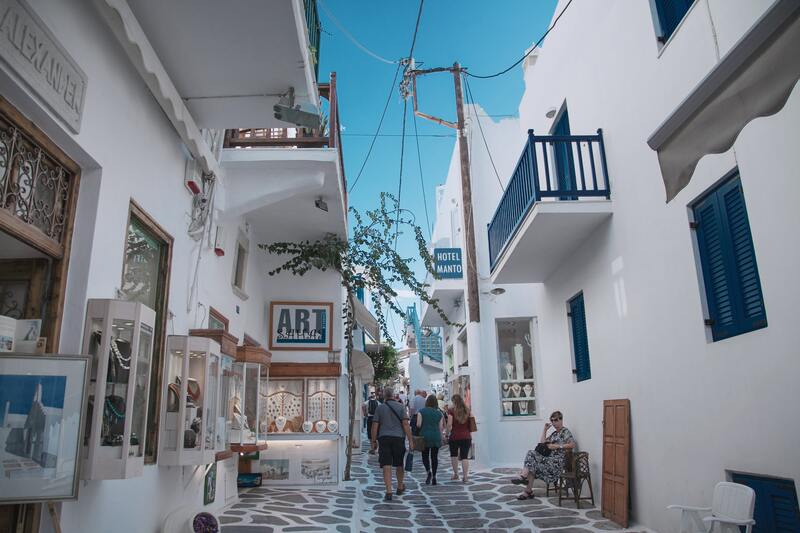 Enjoy your day by strolling to the plate and narrow streets, which are full of traditional restaurants where you can taste typical dishes of Greek cuisine, the famous drink “ouzo“ and enjoy the atmosphere of this vibrant neighborhood. 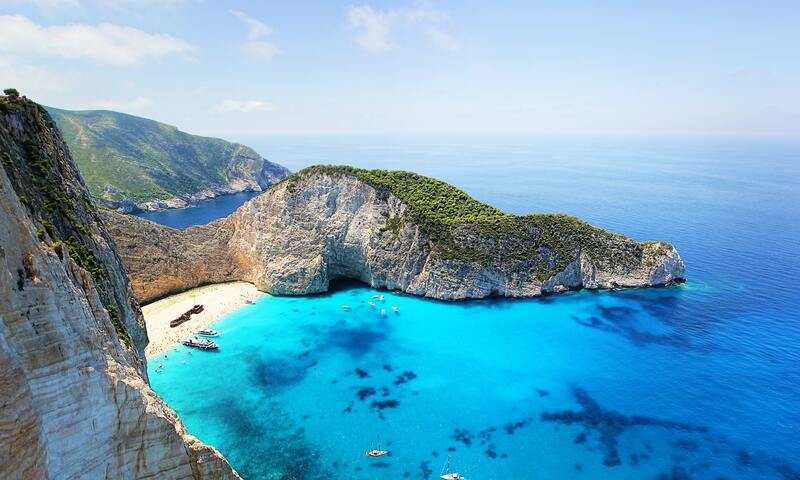 Departure from Athens, travel along the coast to the Corinth Canal (short-stop). Continue to Epidaurus and visit the theater, known for its excellent acoustics. Depart for Nafplion (short-stop), continue to Mycenae. Visit the Citadel and the Tomb of Agamemnon and depart for Olympia, across the Peloponnese. Arrive for dinner at your hotel. Begin your morning with breakfast at your hotel. Breakfast at hotel. Visit Olympia, the birthplace of the Olympic Games (Museum – Archaeological Site). Departure for Delphi, crossing the plains of Ilia and Achaia and reaching the large bridge of Rio, which connects the Peloponnese with mainland Greece (Antirio) through Lepanto and other picturesque towns. Dinner at your hotel. Visit Delphi (Museum and Archaeological site). Departure for Athens. Dinner at your hotel. After breakfast, you’ll be transferred to the international airport for your flight home. The rates displayed below are for the listed travel dates only. The travel dates for this tour package cannot be changed or altered. If you or your clients would like to experience this destination on a date not listed, please use the custom tour request form button above. Centrally located in Syntagma Square in Athens, Amalia Hotel is right across from the National Gardens. It features comfortable rooms with satellite & pay TV and Wi-Fi internet access. A rich American buffet breakfast and a la carte lunch or dinner is served in Amalia’s restaurant. Light snacks and drinks are served at the Chrysalis Lobby Lounge bar. 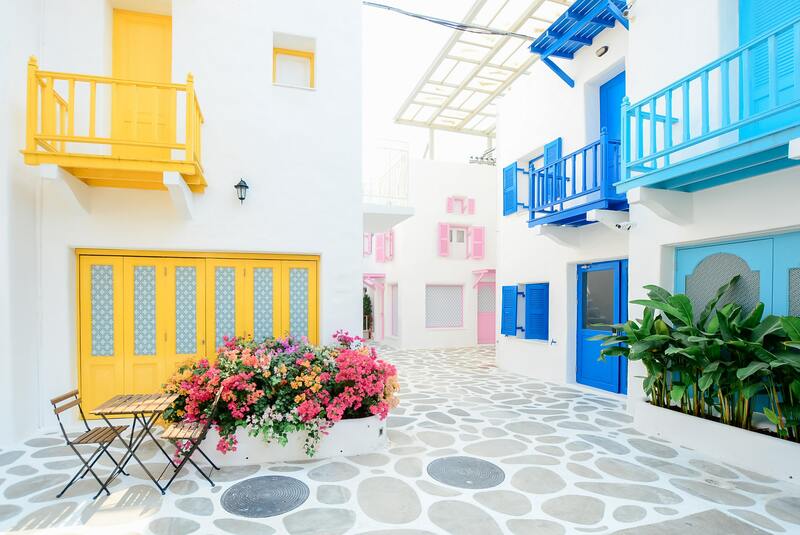 Amalia Hotel is just a 10-minute walk from the Acropolis and Plaka, next to the commercial district of Ermou. It provides easy access to the main metro and tram terminals, while the airport express bus is just 150 feet from the hotel. Awarded with the Green Key eco-label, Amalia Hotel uses environmentally friendly toiletries and cleaning products. This is our guests’ favorite part of Athens, according to independent reviews. Hotel Europa Olympia is built on the top of Drouvas Hill in Ancient Olympia. 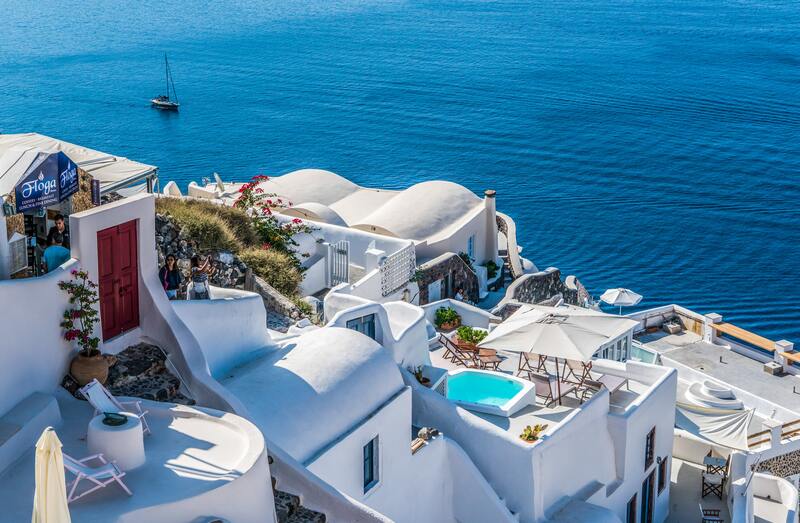 It offers a 24-hour front desk, 3 bars (two indoors and one pool bar) and a Greek restaurant and a pool-side tavern, free parking and free Wi-Fi. Hotel Europa is set among the enchanting landscape of ancient Olympia with a view of the Arcadian Mountains and the Alfios Valley. 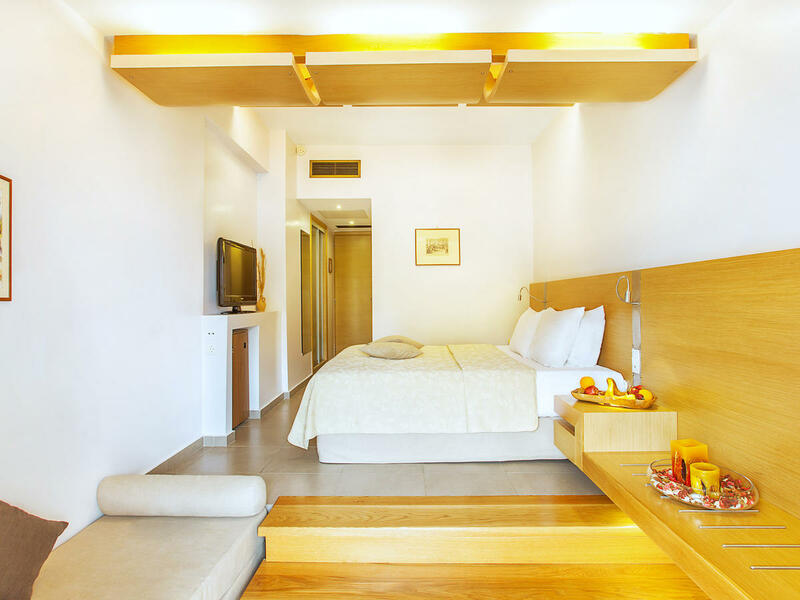 It features 80 spacious and pristine guestrooms appointed with marble floors. Each offers balcony. Rich buffet breakfast is offered every morning in the breakfast room or in the privacy of the guests’ rooms. The Greek Tavern serves excellent Greek flavors. Hotel Europa Olympia has a beautiful outdoor pool offering a pool bar. The garden provides a relaxing setting after a day of sightseeing. The town center and nearby monuments are 0.6 mi away. Kaiafas Beach is only 12 miles away. 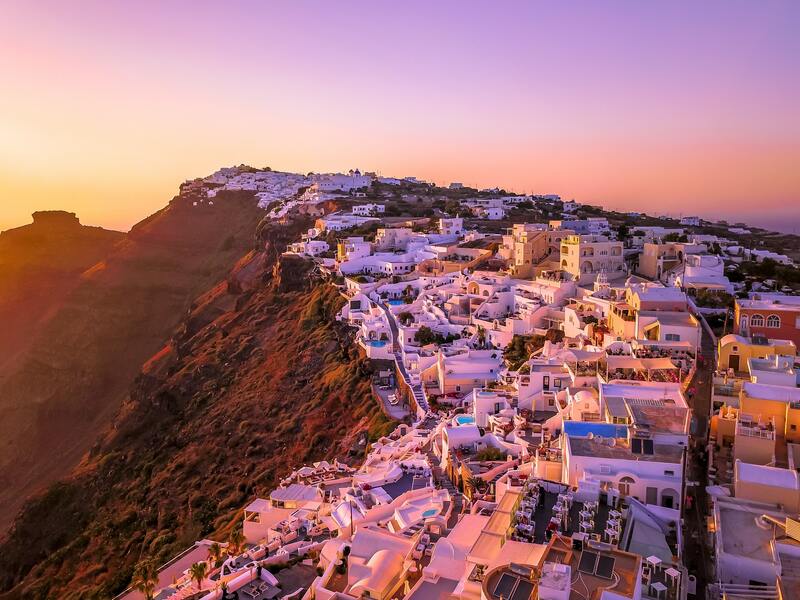 Guests can visit the Temple of Apollo Epikourios (1.5 hours by car), the ski center at Helmos-Kalavrita (2.5 hours by car), the beach at Kaiafa (25 minutes by car) or the Medieval Castle at Chlemoutsi (45 minutes by car). 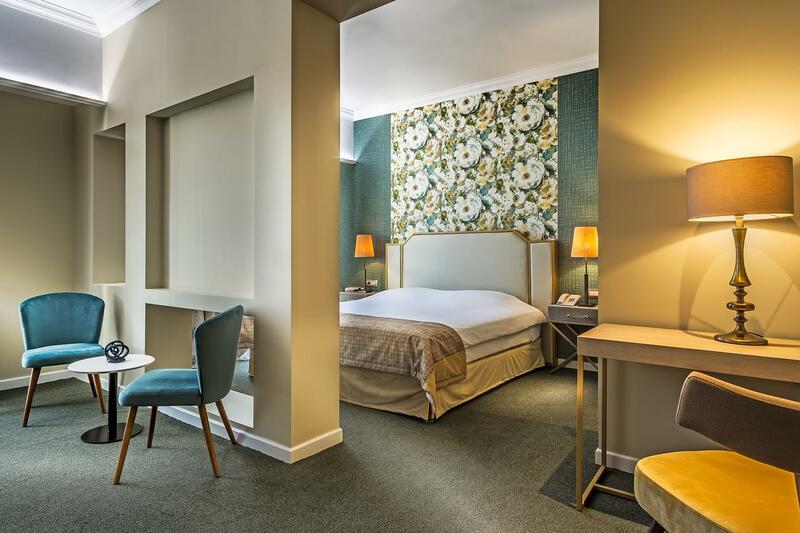 The modern Airotel Stratos Vassilikos Hotel is located a 5-minute walk from the Megaro Mousikis Metro Station. It offers stylish rooms with free Wi-Fi. Facilities include a fitness center with sauna and hammam, and a hair salon. 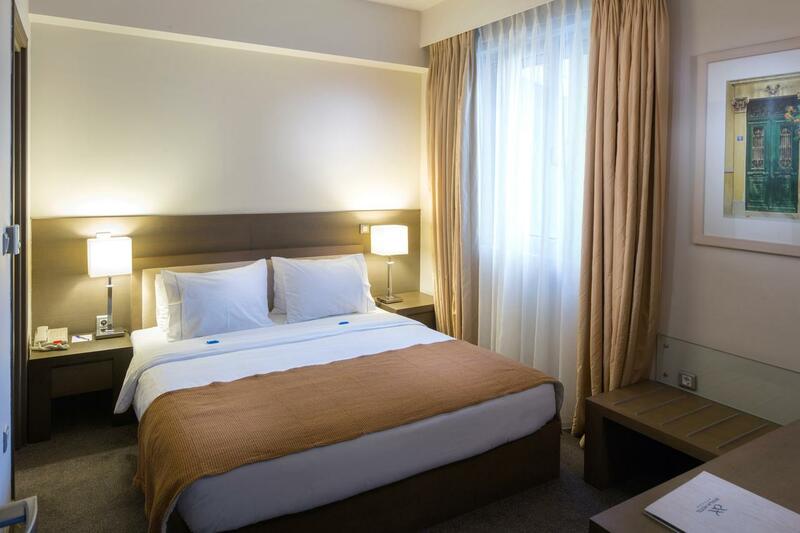 Airotel Stratos Vassilikos Hotel has spacious rooms and suites with soundproofed windows. The bathroom includes free toiletries and hairdryer. Guests can start their day with a Greek Breakfast served in the dining area. Decorated with elegant furnishings, the Riva Restaurant impresses with the inspired dishes. The lobby bar serves coffee, drinks and cocktails in a relaxing setting. The Athens Concert Hall is a short stroll away from Airotel. 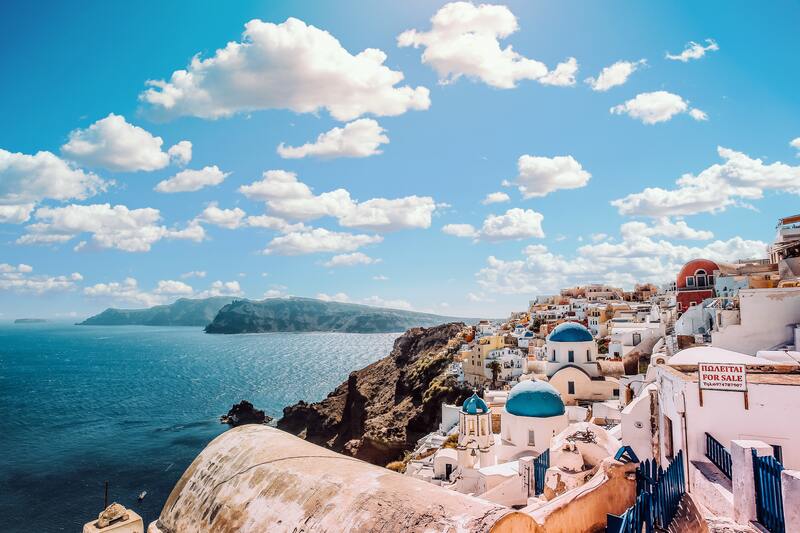 The picturesque areas of Plaka and Monastiraki are also easily accessible via the metro.